The adjectives describing Great Treasure Day at the Beach Clubs all around America sound strikingly familiar; awesome, incredible, amazing! 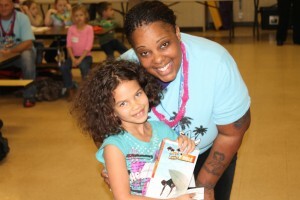 Those words are just a reflection of the joy that nearly 2,200 KiDs Beach Club® volunteers experienced when they handed out a copy of God’s Word to every child in every one of the 146 Beach Clubs. “It’s just an amazing privilege to give every one of these students their very own Bible,” said Paul McKinney, Senior Pastor of First Baptist Church in Eustace, Texas.